This is my daughter, Amara. She is the reason that I am beginning this blog. 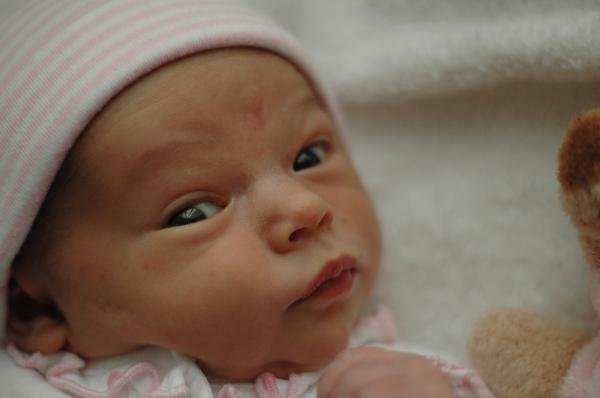 You see, 14 weeks ago, on October 31, 2008, she was born. Six weeks and five days after that, I returned to work. My heart has been apart from me every work day after that, for my heart is at home with my child. This blog is for the mama’s out there whose hearts are with their babies. Those mama’s who pump at work, come home to extra laundry because of cloth diapers, and who don’t mind that her child is 8 weeks old and still not sleeping through the night because this means that she gets to hold her baby a little longer. This blog is for us. I know I must not be alone.